As Montana’s congressional candidates make their final push to get voters to the polls, the Missoula County Elections Office has ramped up its own efforts ahead of Thursday’s special election. 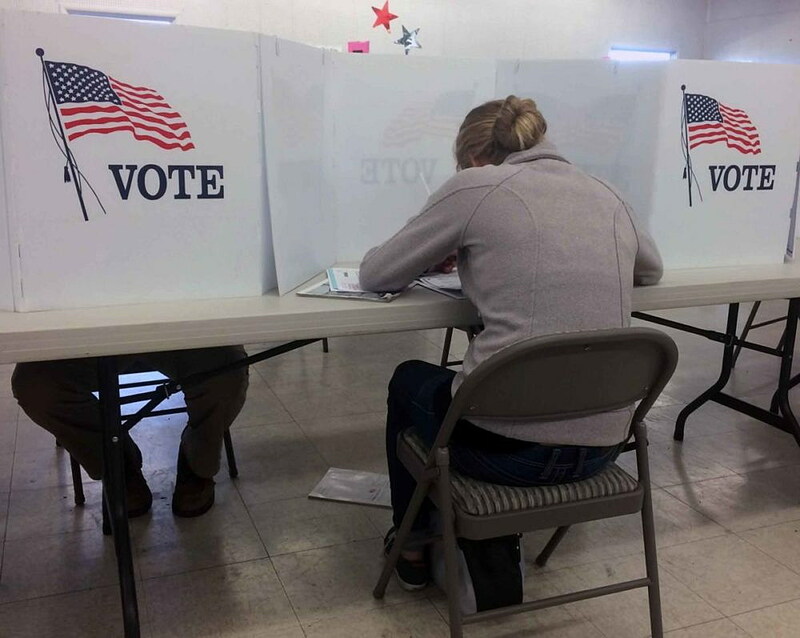 The office saw an influx of voters on Saturday that rivaled the turnout during past presidential elections – a good sign of an engaged electorate. But still, the percentage of absentee ballots returned by Missoula County voters thus far continues to lag behind several other Montana counties. If Missoula is considered a Democratic stronghold, then a lackluster turnout locally could play in favor of Republican candidate Greg Gianforte. “We’re at 61 percent, but a lot of the other counties – Flathead, Yellowstone and Lewis and Clark – are at 65 percent or higher,” said Rebecca Connors, the Missoula County election supervisor. In year’s past, Missoula County has reported early results based upon absentee ballots after polls close at 8 p.m. In most cases, that generally lends insight to how an election may turn out, though several recent races have taken hours to determine a winner. As of Tuesday morning, Connors said the county had issued more than 45,000 absentee ballots and 30,027 have been returned. Come Election Day, Connors expects the number of absentee ballots issued by the county to climb to around 50,000. While the election center was relatively quiet on Tuesday morning, that’s expected to change come Thursday as the nation turns its attention to Montana’s special election. At stake is the state’s at-large seat in the U.S. Congress – a seat held for the last two years by Republican Ryan Zinke, who now serves as secretary of the Interior. Republicans are looking to retain the seat while Democrats are putting their confidence in Rob Quist, hoping to take back a seat the party hasn’t held in decades. National pundits are also watching for any indication of voter backlash against the early performance of President Donald Trump. 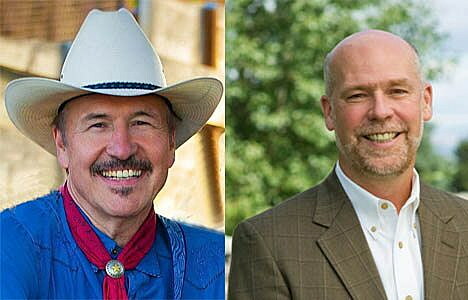 Democrat Rob Quist and Republican Greg Gianforte are vying for Montana’s sole seat in the U.S. House in the May 25 special election. Roughly 53 percent of Missoula County voted for Hillary Clinton last November compared to 38 percent for Trump. In the state’s congressional race, 58 percent of Missoula County voters cast their ballot for Democrat Denise Juneau, compared to 39 percent for Zinke. In the looming special election, candidates from the two major parties have brought their share of surrogates to the state looking for a boost. For Gianforte, the names have included Donald Trump Jr., Secretary of Energy Rick Perry, and Vice President Mike Pence. None of Gianforte’s efforts have been held in Missoula. For Quist, supporters have come in John Bowzer of Sha Na Na fame, actress Alyssa Milano and Sen. Bernie Sanders, who rallied 4,000 voters in Missoula on Saturday. Quist has focused a portion of his campaign on Missoula, hoping to energize the city’s liberal base on issues like health care and public access to public lands. After Saturday’s rally, a bus sat waiting outside the Adams Center looking to take energized Democrats to register and vote. Connors said roughly a dozen arrived as part of the effort, though many more walked through the door on Saturday on their own accord. Connor also expects anywhere from 5,000 to 8,000 Missoula County residents to vote at the polls on Election Day. With the election just two days away, candidates running in the special election are wrapping up their get-out-the vote efforts. Quist was in Billings on Tuesday and will spend Wednesday in Missoula, wrapping up at the Draught Works Brewery on Wednesday night. Gianforte has spent the past few days in eastern Montana. “We’ve had some feedback from voters regarding get-out-the vote,” said Connors. “With a lot of the get-out-the vote, where the campaigns are doing text messages or canvassing, voters are definitely observant of it and calling our office with complaints.